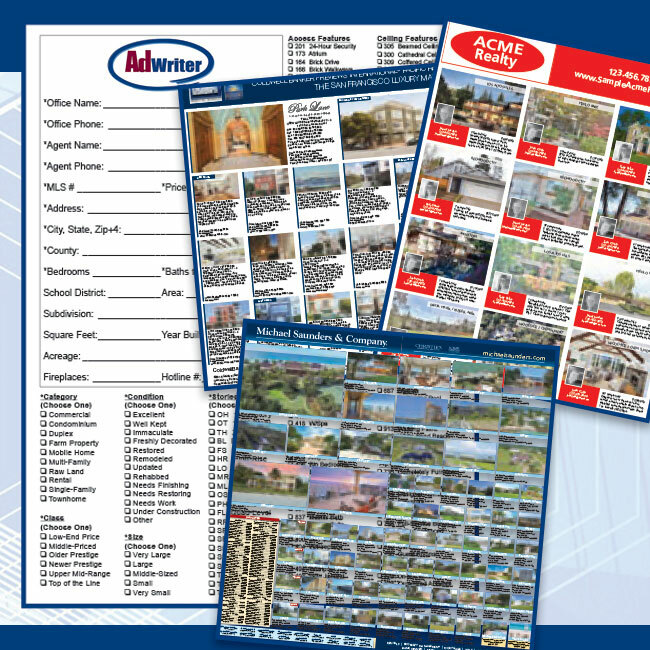 AdWriter has an in-house staff dedicated to making your listings pop off the page! AdWriter has an in-house staff dedicated to making your listings pop off the page! There’s no need to take the raw data from the AdVantage system and cut & paste data into publishing applications. Let our staff do that for you. AdWriter uses a combination of our AdVantage Software, and publishing software, to create your ads. We use a PDF workflow which includes our proof site for access by advertisers and marketing editors. The final product is provided as a print ready PDF that is created to each particular print facilities’ requirements. As a result of our workflow efficiency, we offer fast and affordable ad building services. We create your ads quickly, without the expense of you having to support unnecessary internal resources and software. We streamline the process and pass the savings on to you. Our extensive experience enables us to create ads that meet your advertising requirements. Our team will work with you to create an ad that not only looks great, but is impactful and effective. We work within your existing brand standards, or can create a distinctive new look. Also, because we offer shorter turnaround times, ad creation can be pushed closer to the ad’s deadline. This reduces the amount of changes that would normally have to be done, such as when a property sells and has to be replaced, price changes, etc. Our production workflow allows for fast delivery of proofs and final ads using PDFs which also reduces errors. Contact us today to see how AdWriter can become your ad creation solution!